Stanley, padded with soft and sinuous lines, is characterized by the postmodern aesthetics of its design. Proposed in a series of elements that allow you to build a completely tailor-made settee, creating different configurations according to your needs, it has a deep seat and wide enveloping armrests: it is the perfect project designed to transform your living room into a real cinema. Presented with a purple velvet lining, it can be customized with velvets available in a wide range of vibrant and deep colors. The particular tone-on-tone quilting of the upholstery creates a lively surface and gives rise to a sensual decorative motif that embellishes the product. Stanley’s peculiarity is the laminated mirror upholstery that defines its side panels: an unexpected touch, a subtle reference to the aesthetics linked to the world of discos. Production lead times are often flexible and stock levels vary. Please inquire for current availability. Materials: Wooden structure, polyurethane foam padding, velvet upholstery, laminated side panels. Dimensions: 115 x 115 x 100 cm. Please inquire for variation and customization details. 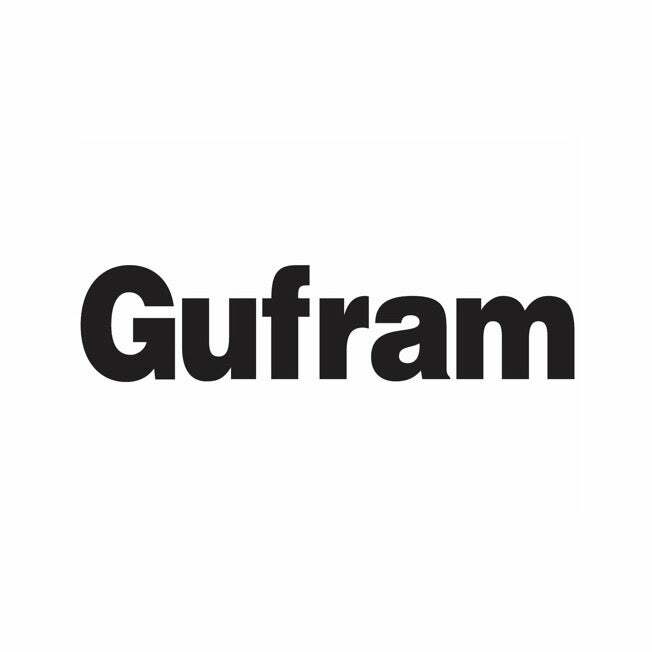 Gufram is an Italian design brand globally known for pushing the limits of industrial design. With its Radical Design spirit and its nonconformist experimentation linked to aesthetic, technological and material research, Gufram has created design icons that have entered collective imagination: playful, subversive and desecrating products with a POP soul, willingly designed as anti-design items. Gufram was born in Turin as an artisanal entity, where the craftsmen specialized in upholstery, cabinet making and furniture padding met the artistic and international avant-garde with the goal to give birth to a new way of understanding modern furniture. Since 1966 Gufram has been producing design icons that have become unique in form and value thanks to the cross-contamination between the industrial design approach, the artisanal creation and the imaginative flair typical of ART. Gufram’s unmistakable furniture items like the lips-shaped couch Bocca, the chaise lounge Pratone and the hall tree Cactus, also known as Domestic Sculptures able to interpret the contact point between both the artistic and the design worlds, are now displayed in the most beautiful houses and in the most renowned museums in the world. 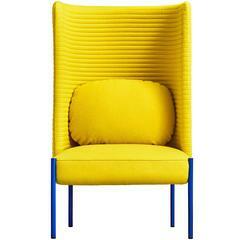 Louis XVI style upholstered armchair in yellow damask. Herman Miller Eames DAX armchair in brilliant yellow, a rare color option. Chair in good vintage condition with all mount and glides intact. No cracks, circa 1960s.